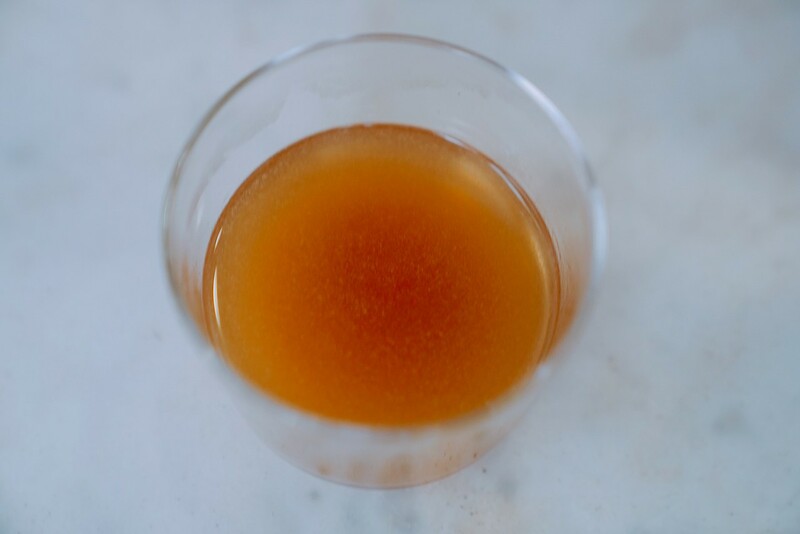 Drinking chicken essence is a right of passage growing up as an Asian kid. Most parents will throw one bottle of chicken essence to their child around examination periods for a spurt of energy in those last mugging moments. It is consumed regularly by pregnant ladies, the elderly or anyone who needs some nourishment and vitality. When my grandpa lost all his appetite to eat during the last couple of years of this life, he had homemade chicken essence daily as a huge part of his sustenance. I adore the taste of homemade chicken essence, but I didn’t like the taste of the pre-manufactured ones I had in my childhood. Homemade chicken essence is made by double boiling a whole chicken without water for at least three to four hours to extract a precious golden liquid that contains all the goodness of the chicken. No one (or at least I don’t) has the time to make fresh chicken essence from scratch, so I normally drink homemade bone broth instead. Until I found out about Tian Yuan Xiang Chicken Essence ( 田原香滴鸡精 ). I first heard about Tian Yuan Xiang Chicken Essence ( 田原香滴鸡精 ) from my pregnant friends who consume it regularly. It hails from Taiwan as the number one selling chicken essence in both Taiwan and Hong Kong. 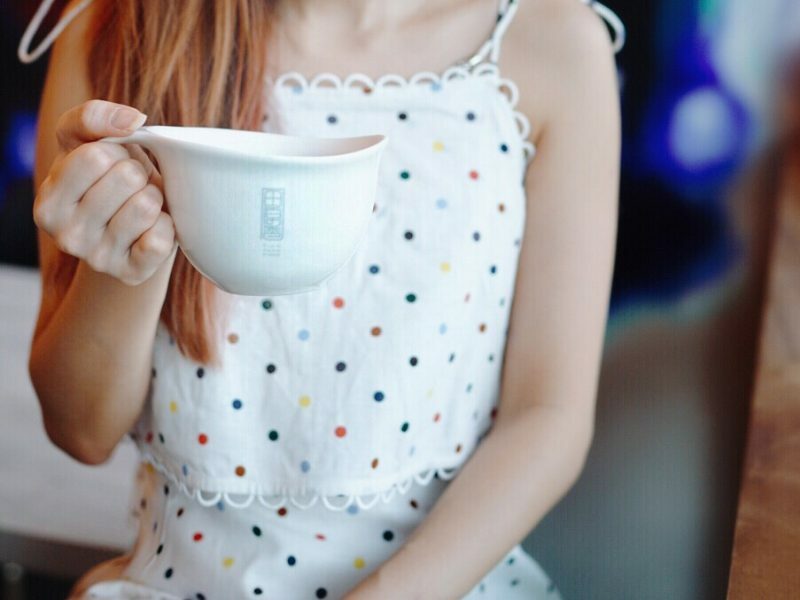 Many celebrities such as Lin Chi-ling, Charmaine Sheh, Vivien Lai, Fann Wong have also gushed about their love for this brand. The best part, it is so easy to prepare. Just heat it and consume. The first ones that I had come in a frozen form so I would microwave it before drinking. However, they recently launched their new room temperature chicken essence which means I no longer have to take up precious real estate in my fridge or freezer for storage of the Tian Yuan Xiang Chicken Essence ( 田原香滴鸡精 ). Tian Yuan Xiang Chicken Essence ( 田原香滴鸡精 ) is made in Taiwan under the strictest conditions with a farm to table concept in mind. The Tian family has devoted themselves to poultry farming for three generations. Instead of packing the chickens in an unethical and restrictive environment, each free-range chicken has a land space of 3.3 square meters. The environment allows the chickens to have natural resistance. Closely monitored nutritious feed composition is adjusted along with the various seasons in the process of rearing the healthiest chicken. There is no antibiotics or drugs or hormones used even if it means that the growth rate will be slower and the death rate will be higher. Finally, after 150 days (no earlier), the chicken is mature, strong and has its nutrition and collagen at the peak levels for the making of premium chicken essence. The whole chicken is double boiled under high temperature with a charcoal fire (as the scent of charcoal is unique to making the concentrate tastier) for eight whole hours with no water added. 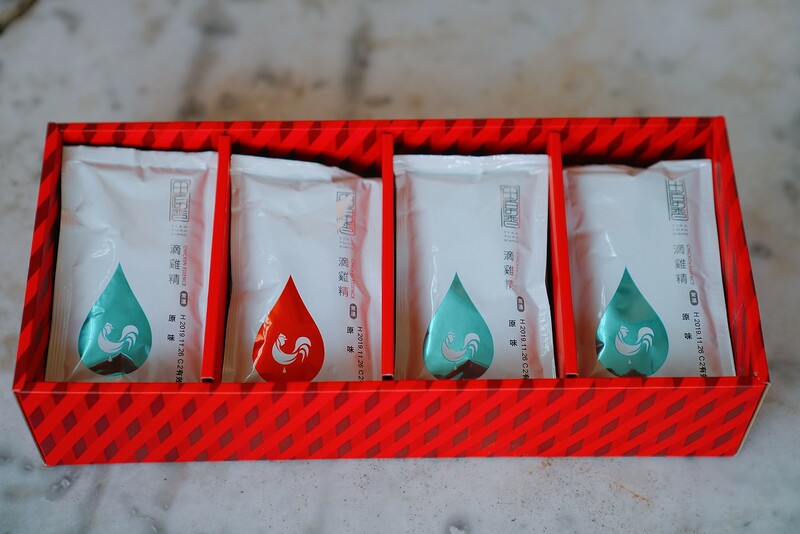 Oil is filtered off repeatedly, both manually and using machines so that each sachet only contains less than 20 Kcal. The whole process is done in a clean environment using modern equipment. Tian Yuan Xiang Chicken Essence ( 田原香滴鸡精 ) is certified by Halal and Health Certification by the Taiwan Health Department. Tian Yuan Xiang Chicken Essence ( 田原香滴鸡精 ) contains all the various amino acids our body needs in one serving. The concentrate is easily absorbed as it is already in concentrated liquid form. You can drink it as it is or even add it to your soups for a stronger more nutritious broth. I had my first package of Tian Yuan Xiang Chicken Essence ( 田原香滴鸡精 ) delivered to me last year, and I was hooked. It tastes just like the homemade chicken essence (in fact, it tastes healthier as there is less oil) with low sodium and a natural flavour. No pungent, unpleasant taste or smell. It tastes just like a concentrated version of chicken bone broth. Recently, I brought a serving of Tian Yuan Xiang Chicken Essence ( 田原香滴鸡精 ) out when I brought my friend’s five-year-old kid, Jovan, out on a playdate. I had intended to drink it while waiting for him to finish playing at the playground. When he saw me drinking, he told me that he wanted to try some. I expected him to have a little sip and return the rest to me. Surprisingly, he finished the whole bowl and told me he loves it. That’s a testament to how delicious tasting Tian Yuan Xiang Chicken Essence ( 田原香滴鸡精 ) is. Travelling often leaves me pretty fatigued as my body adapts to different time zones and climates. Having Tian Yuan Xiang Chicken Essence ( 田原香滴鸡精 ) helps me to increase my energy levels to cope with these physical stresses as continue pursuing my commitments. I love the Tian Yuan Xiang Chicken Essence ( 田原香滴鸡精 ) with Cordyceps as regular intake aids in keeping my sinus and asthma-related issues at bay. I would usually alternate my intake with regular Tian Yuan Xiang Chicken Essence ( 田原香滴鸡精 ) which is an excellent source of nourishment for anyone of any age. Feel free to head down to their store at United Square for a sampling of this yummy goodness. 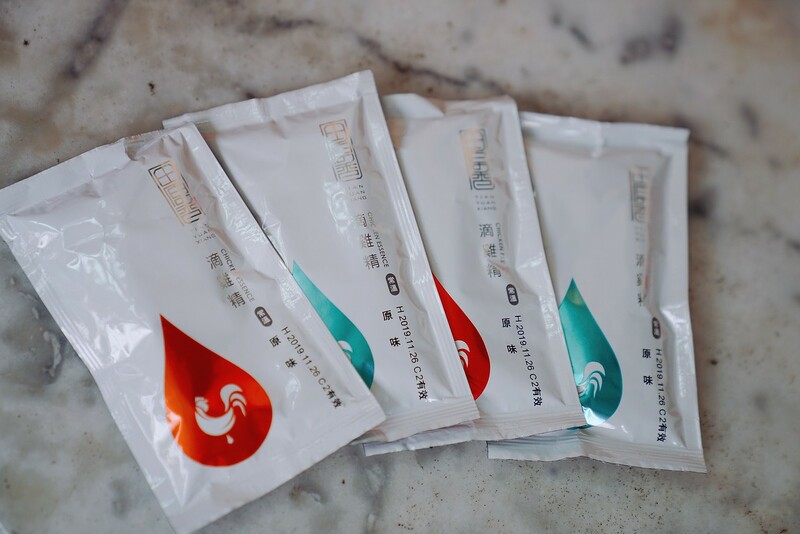 Alternatively, you can also purchase Tian Yuan Xiang Chicken Essence ( 田原香滴鸡精 ) online and get it delivered to your doorstep.